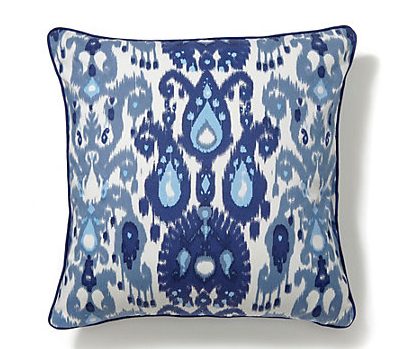 For sofas and chaises in need of a little oomph, this Blue Ikat Pillow Cover with an eye-catching Ikat design featuring a fresh color with contrast piping, provides the remedy and then some. $38. Buy here.